Manufacturer of a wide range of products which include wheel barrow, 4.5 cft wheel barrow, material handling wheel barrow, tilting wheel barrow and solid tyre wheel barrow. We offerWheel Barrow to our prestigious customers. 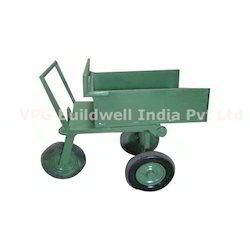 These barrows are commonly used for carrying bulky construction materials from one place to another in time and cost efficient manner. Due to their optimum load carrying capacity and minimum maintenance, these barrows are highly appreciated in the market. 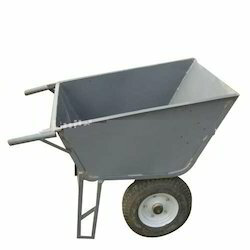 We are instrumental in offering 4.5 CFT Wheel Barrow to our valuable customers. 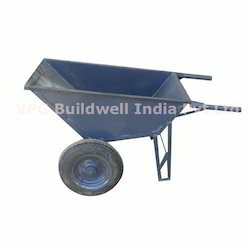 These wheel barrows are commonly used in different construction industries to carry bulky materials from one place to another. Our team of quality controllers maintains strict supervision over the manufacturing process to ensure a defect-free range. 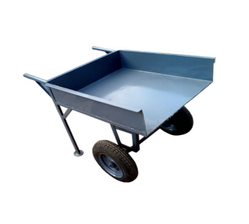 Our company holds expertise in offering high quality Material Handling Wheel Barrow to our valuable customers. These products are commonly used for carrying bulky construction materials from one place to another. Owing to their high load carrying capacity and longer functional life, these machines are highly demanded in the market. We offer Tilting Wheel Barrow. We offer Solid Tyre Wheel Barrow.